Who doesn’t love a good ol’ lamington or apple pie shake? Candied Bakery is an Aussie bakery with an American twist and a dash of European influence! It’ s something to be remembered and will keep you coming back for more. I’m Orlando Artavilla. Together with my wife, Toula, we own and run Candied Bakery. How did you come to be here today? I came from country Victoria and when I was young decided I wanted to see the city lights. I was qualified as a Baker, so when I moved to Melbourne I got a job at Grand Hyatt, then travelled for a couple of years before stopping at Pastry Art, which was owned by my future wife and her brother. 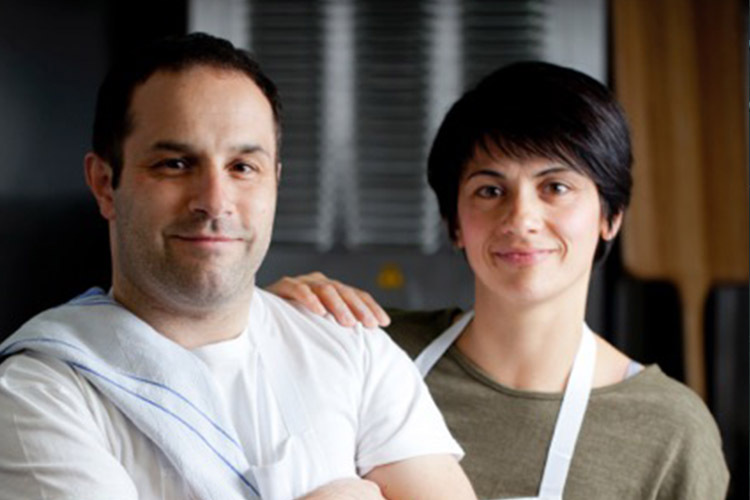 A few years later we opened Sugardough in Brunswick and then decided to make the jump to Spotswood. You’ve been working as a husband and wife team for many years now. We started working together before anything else – so we know each other’s working style very well. As I’m qualified in bread making and baking, I manage that side of the menu and Toula is a qualified chef, so she takes care of the rest. There are no lines in the kitchen – but we know whose side of the kitchen is whose! We love that you’re inspired by America – how did that come about? After we sold Sugardough, we booked a holiday – not knowing that it would lead to our next business idea. Toula and I spent a lot of time in California, but New York really stole our hearts, and our stomachs. We loved how Americans have fun with their food and flavours. Everything was apple pies, shakes and cookies – simple, home cooked food but presented differently. That was how Candied Bakery started. It was the idea of bringing fun back into food – taking classics and putting a twist on them. What’s Spotswood like as a neighbourhood? We originally owned a business in Brunswick, so relocating to a more suburban area has been really interesting. When we were thinking of where Candied Bakery should be, we wanted to have more of a neighbourhood vibe – something local. The community here has been very welcoming and Candied Bakery has become a destination in the area. It’s definitely different to Brunswick; however it’s been a welcome change. Over time you’ve had some memorable flavour combinations… do you have an all-time favourite? I love being able to imagine a flavour combination – we’ll give anything a go. Some of the tastes people keep coming back for are: maple syrup and candied bacon – it’s not meant to work but it does – and our brownie with brown sugar and pretzel crust. 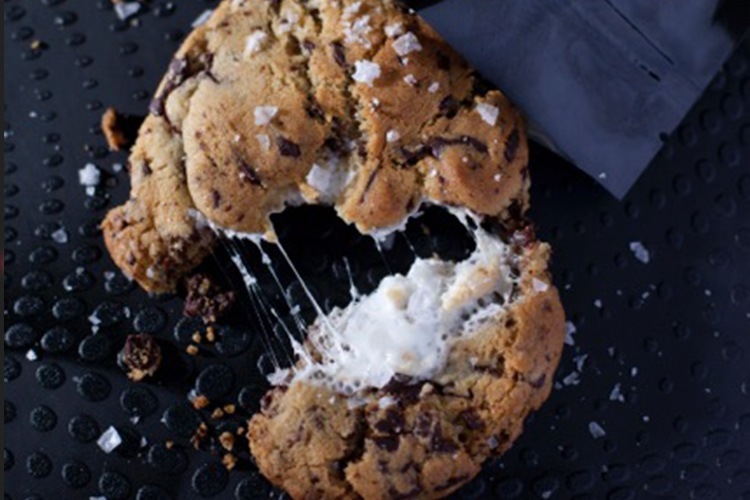 The most requested item has to be our salted chocolate marshmallow cookie though! The mouth watering salted chocolate marshmallow cookie! Care to hint about anything baked goods that we’ll be queueing up for come summer? 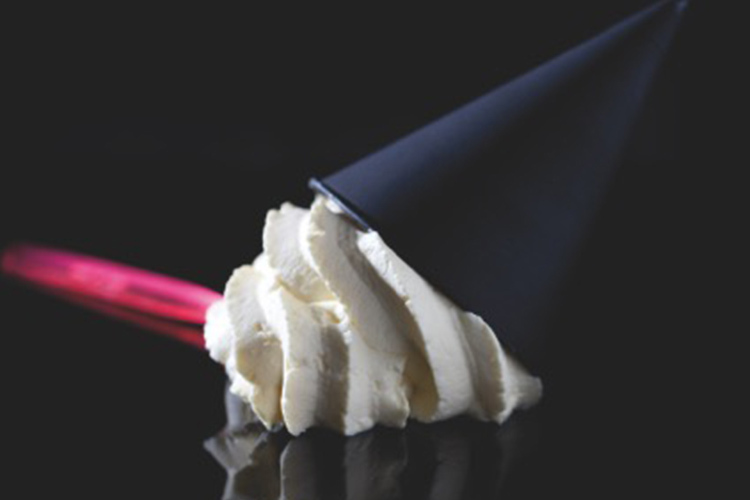 Oh absolutely, there are a few things we’ve been working on… some new soft serve flavours, breads and pastries. Think kimchi and mayonnaise slathered over focaccia dough, and a cheeseburger flavoured sausage rolls. Everything will be rolled with into an organic beef patty, with cheese, pickles and mustard – delicious. 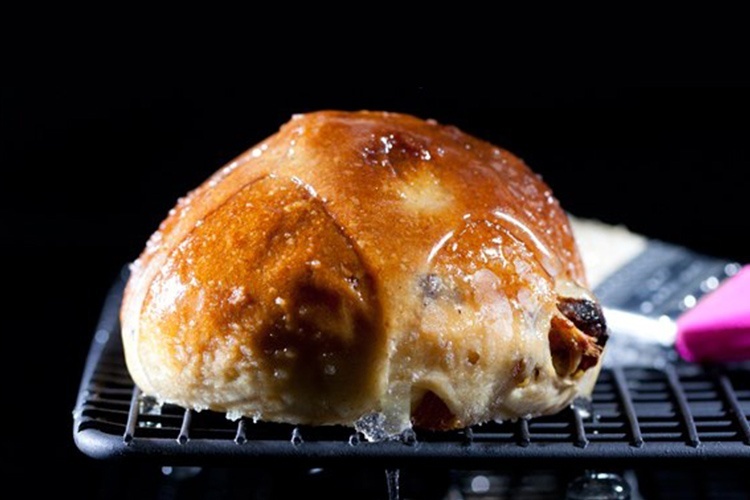 Last year we made a Nutella panettone and it kept selling out, so it’ll definitely be making another appearance this year. Generally speaking, we like to layer flavour upon flavour – that’s what keeps people coming back. When your doors are closed for the day, where are you heading to nearby? If it’s just me, I’m going to Two Birds Brewing down the road. If my daughter is with me – we may go to Scienceworks or the Williamstown Foreshore, or into Yarraville – just for a change. How big of a part do you think your store fit out plays in your success? Our store is very minimalist – something that can appeal to everyone, however our brand is colourful and recognisable. It’s incredibly important to be a place people want to spend time in. What advice would you give to young businesses starting up? Keep it simple; don’t over complicate your flavours or your techniques.